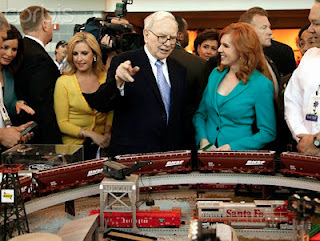 There are several websites devoted to celebrities whose hobby is model trains. 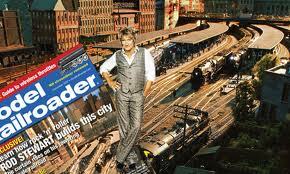 Probably the most famous devotee is Rod Stewart whose HO model of Grand Central Station looks stupendous. 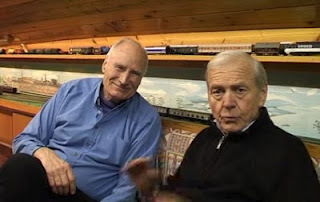 And Peter Snow in the UK. Neil Young (of Crosby, Stills, Nash and Young) half owns Lionel Models, a US specialist model train maker. I have to say that I would love a limitless supply of money to employ some technicians to install the wiring and lay the actual track. But just as monks in a religious order like to lead a day of varied activities striking a balance amongst the manual (eg gardening and kitchen work), leisure (eg dominoes), study, the spiritual and the devotional, so should I be prepared to do all parts of this model railway - see blog of 23rd March, "Ballasting as a spiritual experience." On the other hand, see the following day's blog "Ballasting as a disastrous experience." Back to the old Dubstep. Listened to a great sequence of dubstep on Radio 1 Extra by someone called "Jakwob". Will have to start getting some of the names of the musicians being played so that I can download their work from iTunes and so have it on tap whenever the mood strikes.